We’re starting something new called Build of the Month! At the end of each month we’ll select the top 9 builds that customers have posted or submitted. Then you’ll vote for the best build. The person with the most votes will win some Gibbz Arms swag and a gift card! 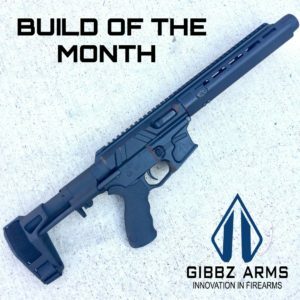 So post/share your Gibbz Arms builds and stay tuned for more details! Give us a lefty G10 and ill buld you the build of the month!